It’s true, I told him, no one wins. 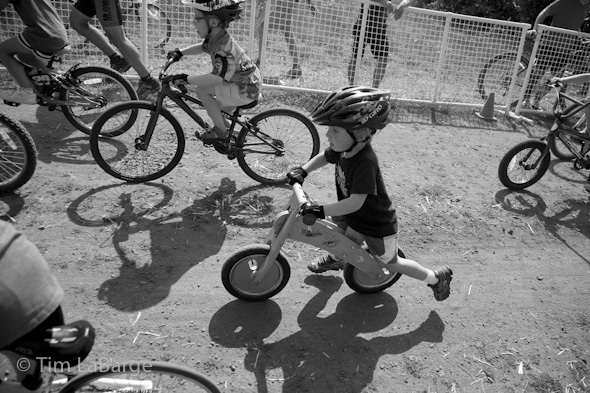 This race is about having fun with your friends and riding your bike. This past weekend at the race at Barlow, there were steps through a forest that seem to have been built by giants. It takes great momentum and strength to get to the top and then the racer must dig deep, remount and keep pedaling. It’s exhausting. Jack, Leo and I watched a young junior rider struggle to lift her bike and heave it forward. She could barely crawl up the steps. And then I saw Sara cross the bridge and come blasting up those dreaded risers, step past the junior, smile at Jack and Leo and chase down the lady in front of her. Awesome. Now let’s hustle toward the finish line, I told the boys. How kind, I thought. My little cutthroat competitor, ready to take the podium while still riding a Skuut, was deeply concerned for the young lady toiling on the steep climb. We talked about the idea that the girl had not crashed, but was just having trouble getting up the hill. We talked about how mama was racing ladies her age and had to keep moving as fast as she could. And we talked about the fact that if a rider were down and injured, mama would be the first one to stop and help. This entry was posted on Monday, September 26th, 2011 at 10:37 pm. 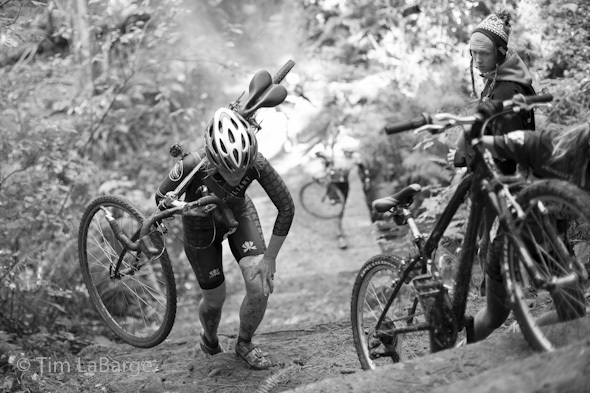 It is filed under cyclocross, family and tagged with cyclocross, oregon, pdxcross, portland. You can follow any responses to this entry through the RSS 2.0 feed.